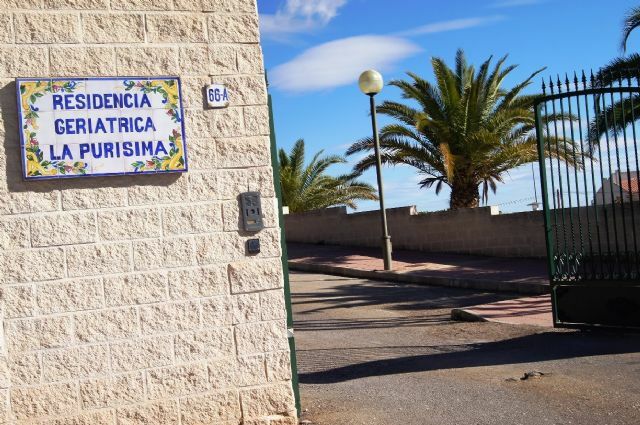 The Local Government Board has recently agreed to approve the proposal of the Councilor for Elderly People, Antonia Camacho, to renew the collaboration agreement of the City Council with the Autonomous Community, through the Murcia Social Action Institute (IMAS), for the provision of residential care service for the elderly in the residence "La Purísima" of this municipality for the year 2019.
and comes to establish the collaboration between the IMAS and the totanero Consistory to meet the needs of comprehensive care for the elderly through the reservation and occupation of 69 residential places in the geriatric "La Purisima". The residential care service is constituted as a resource for the elderly, through which comprehensive care and permanent housing is offered to those persons who due to their health, family, social or economic circumstances can not remain in their own home with the goal of maintaining or improving your personal autonomy. This service includes, at a minimum, the provision of accommodation, personal care, control and protection, geriatric care, psychosocial, occupational and rehabilitation care, maintenance, laundry and clothing for residents, cleaning of facilities and additional services. The total cost of the agreement for the IMAS amounts to a maximum amount of 816,000.29 euros. being the price of the reserved place of 75% of the price of the occupied square. In addition, the contribution of users is set at 40.55% month / user.